Seasons greetings from all of us at 10,000 Birds! With hope, everyone reading this is surrounded both by loved ones and the bounty earned by a year of being more nice than naughty. Did Santa bring you the birds you asked for this year? Holiday prep kept Corey out of the field this weekend, but he did spot a glimpse of a Golden-crowned Kinglet at one point. I’ve been felled by knee surgery, yet the picture-perfect Rochester white Christmas may be even better from inside the house than outside. 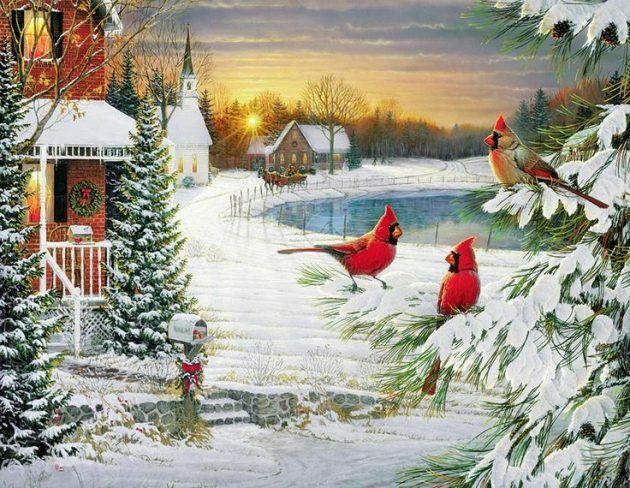 Plus, from my window, I’ve been enjoying the kinds of views of Northern Cardinals in snow that inspire sappy Christmas cards.